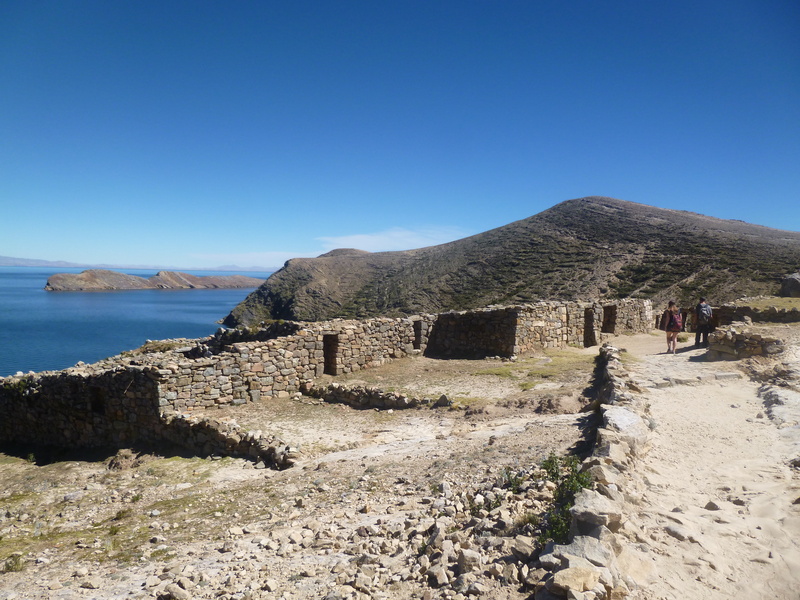 After La Paz we travelled to Lake Titicaca. 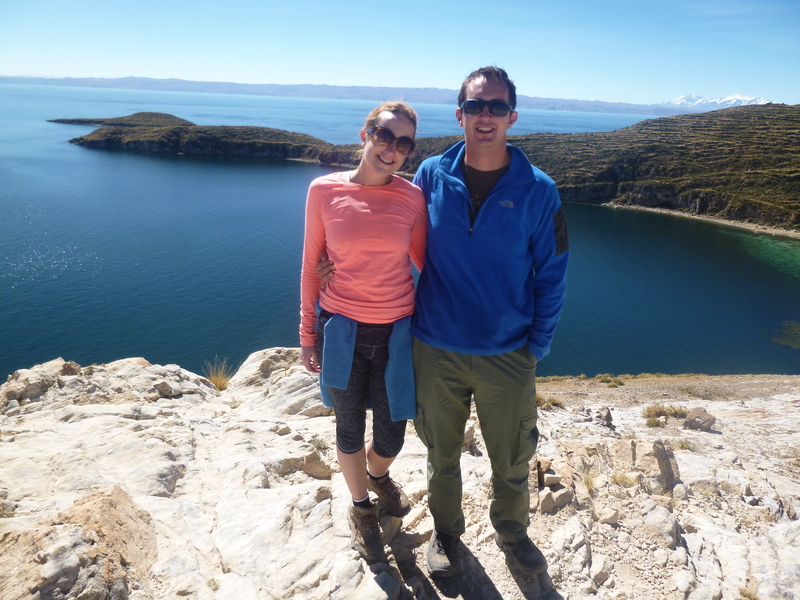 We stopped in Copacabana for one night in order to visit the island of the Sun to do a trek. The bus from La Paz to Copacabana was due to take 6 hours but ended up taking 10+ as we had to go cross the boarder into Peru for about half an hours driving before returning into Bolivia. 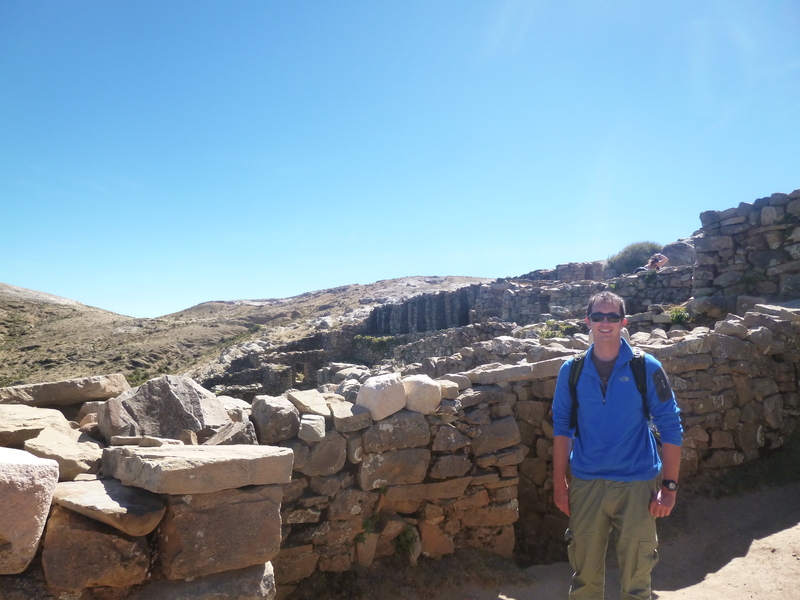 It was time consuming because there was about 50 or so people getting stamps to exit Bolivia, entry / exit Peru and re-entry stamp to Bolivia! 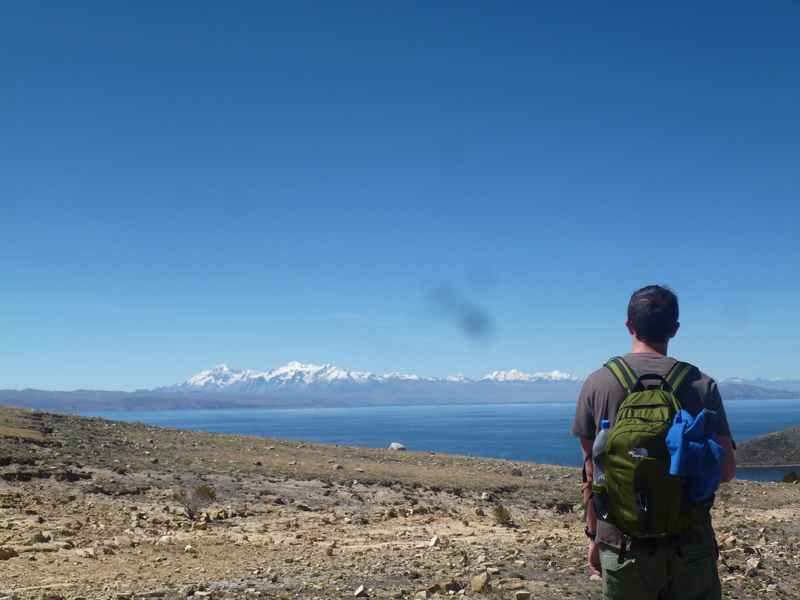 The trek on Isla de Sol took 3 hours, the views were stunning – a bit like Ireland. 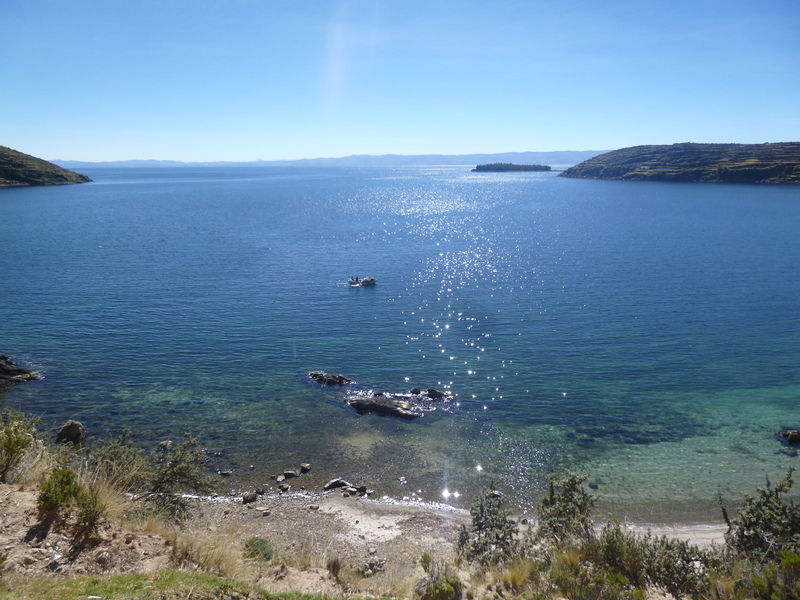 The Lake was very nice – huge. 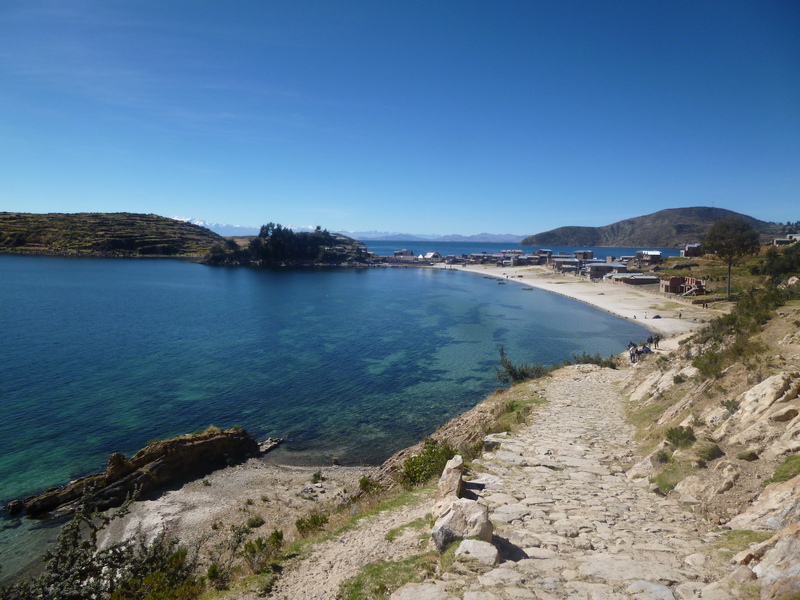 After Copacabana we took a bus to Puno in Peru. 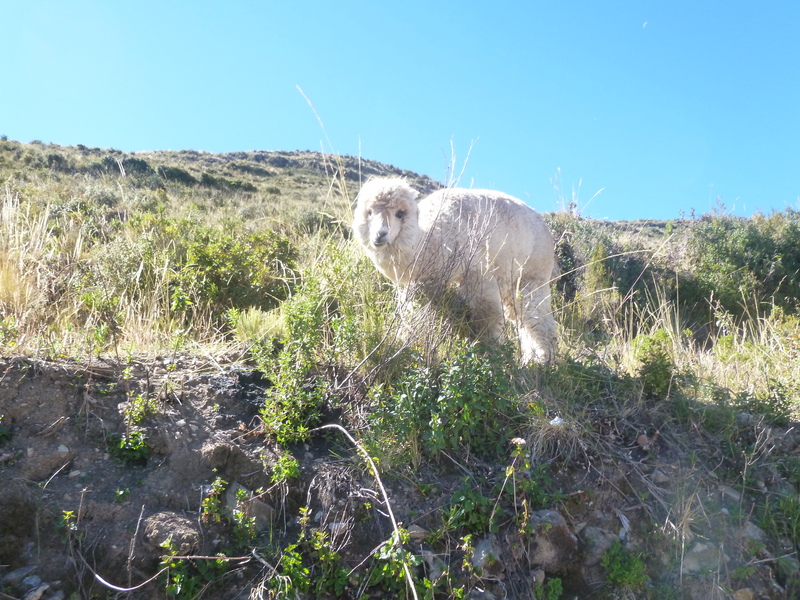 We crossed the boarder again to Peru which was a straight forward process. 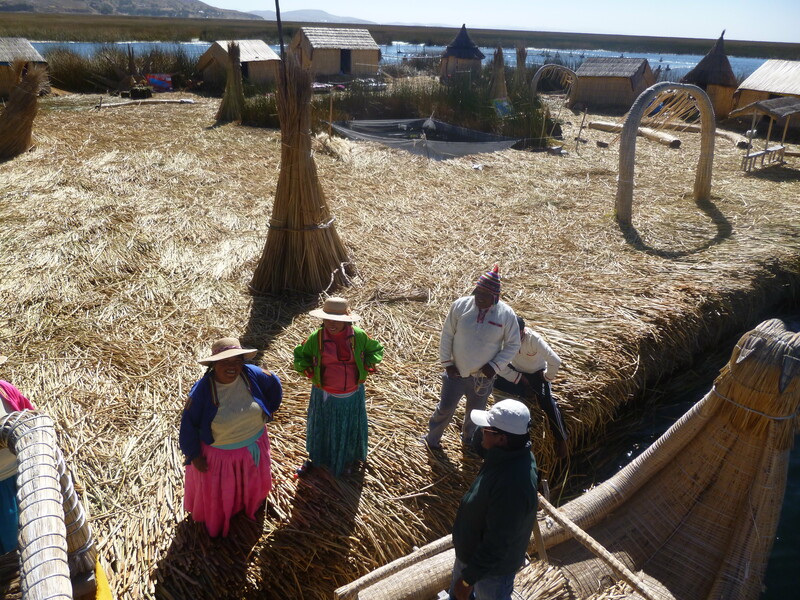 When we arrived in Puno we did a 3 hour boat tour to see the floating island. It was very commerical, touristy, almost fake experience. Luckily just a few hours of our lives! 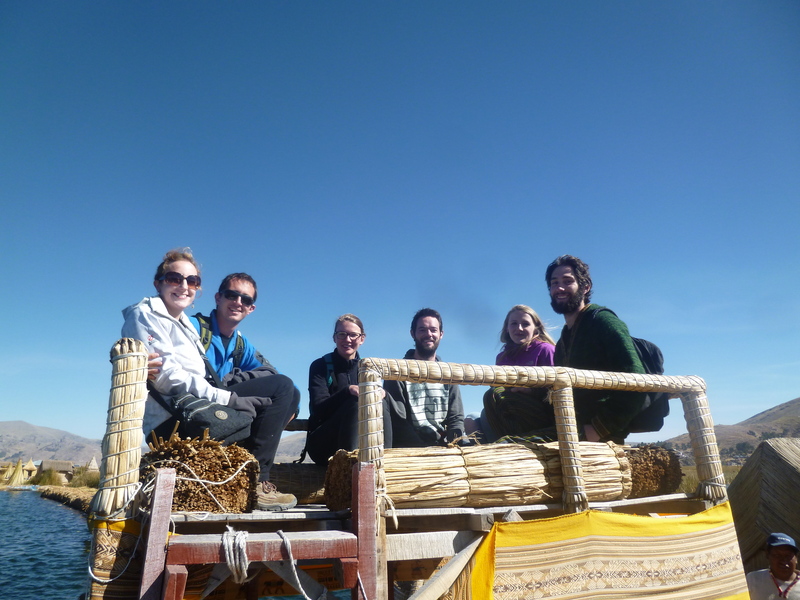 At one stage we took a little boat made of reeds to cross to antoher floating island. 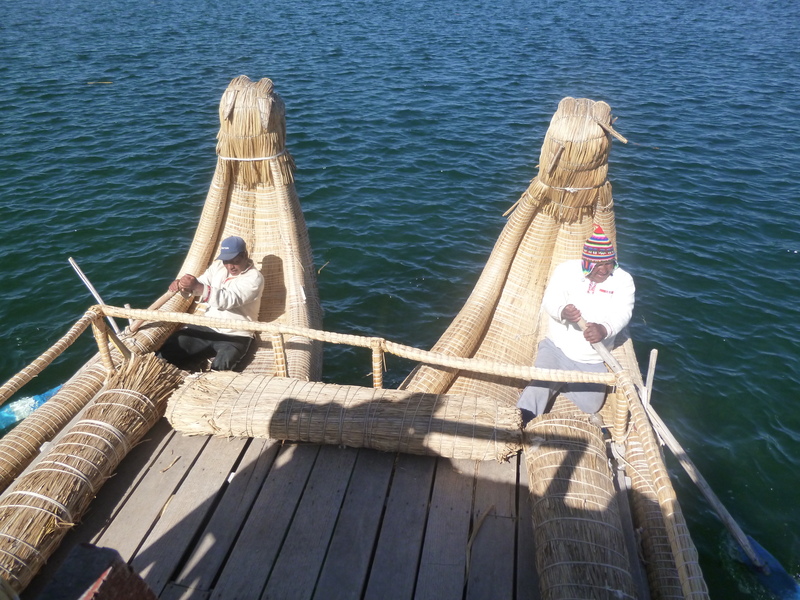 After about 10 minutes into the journey, a little speedboat came along and gave our boat a little push along the way. So the two guys rowing a break. It was funny! 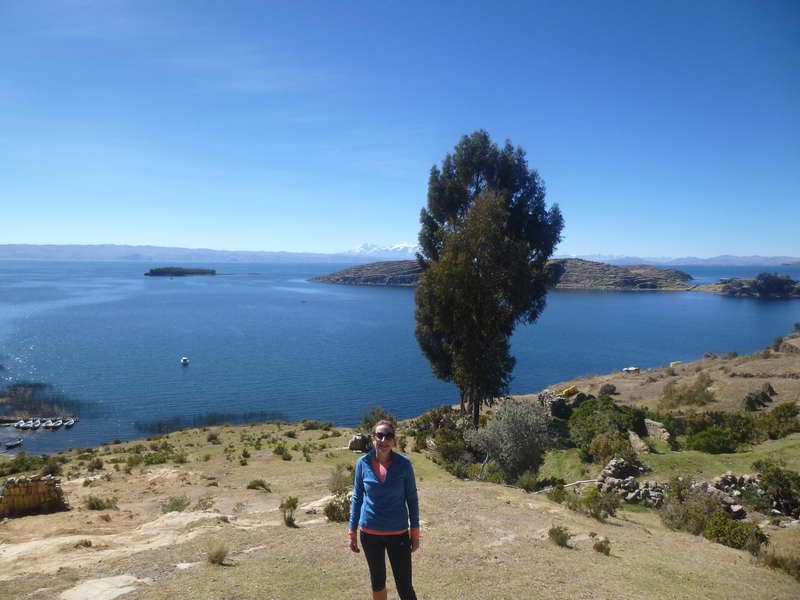 We stayed only the one night in Puno and took a 7 hour bus to Cusco with a company Turismo. The bus was very comfortable, it was cama, we had the front seats upstairs so had excellant views along the way.